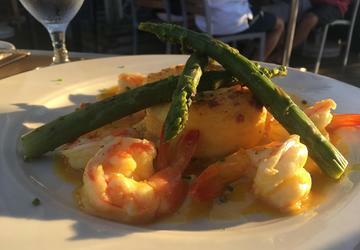 Crabs, dining alfresco, water views, boats of all sizes, shopping, and history. What more could you ask for on a day trip? Annapolis is the capital of Maryland and it's only a short drive away from the District, making it the perfect day trip! 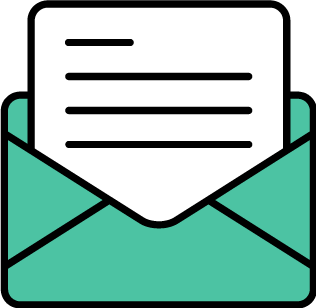 Trust me, after just one visit here, you will be hooked. 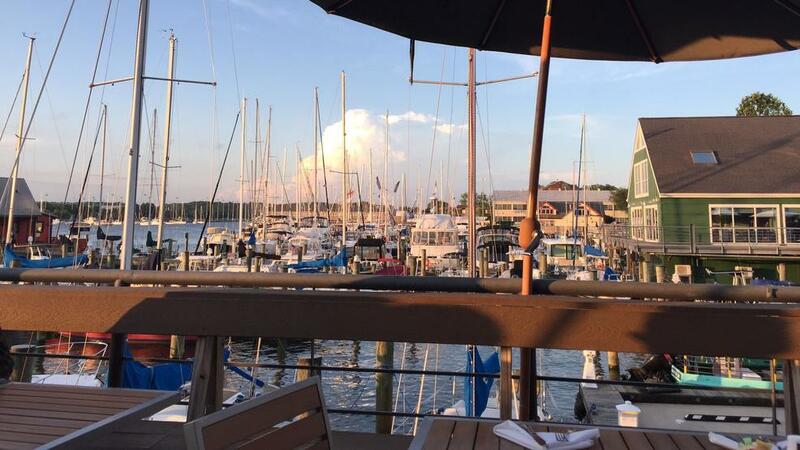 Did you know Annapolis is known as "America's Sailing Capital?" And City Dock is the place to chill out and watch the boats. 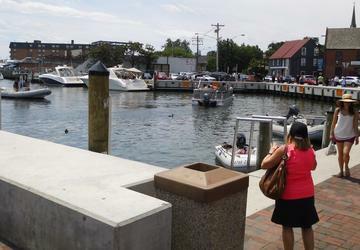 City Dock is also the launching point for many of Annapolis’ water tours. Take in the scenery with a cruise on the bay on a beautiful sailboat. 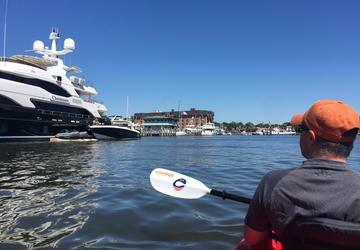 Or if you want to enjoy the water in a different way, rent a kayak or paddleboard with Capital Sup. 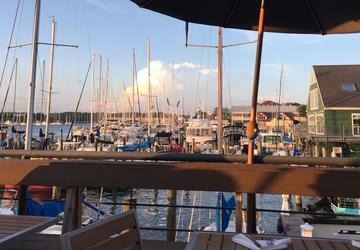 After a sail on the Chesapeake, walk up Main Street for dinner, shopping, and much more! 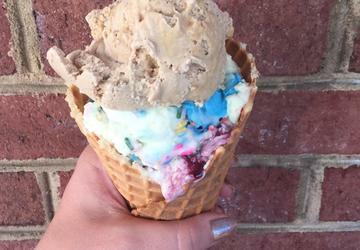 Check out Chick & Ruth’s Delly for old-fashioned milkshakes, smoothies, and homemade pies. 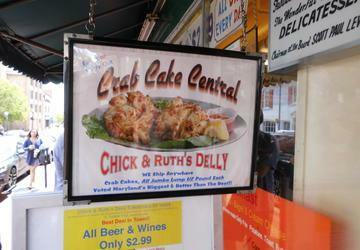 I tried it out for lunch and let me tell you, the jumbo lump crab cake was incredible! Looking for a place for lobster rolls? Try Mason’s Famous Lobster Rolls. Their mantra is no bells, no whistles, no pretension. It’s just fresh lobster prepared Maine style. Now it's time to walk off all that food! Annapolis is a shopping mecca and Main Street has an eclectic mix of shops - men’s and women’s clothing, touristy souvenir shops, hats, shoes, home accessories, jewelry, gifty items and so much more. But Main Street isn’t the only place to browse and shop. 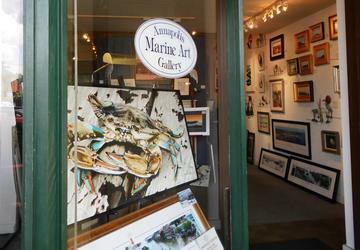 Maryland Avenue offers a potpourri of art galleries, home furnishings and accessories, antiques, jewelry, and more. You’ll find shops on the side streets, so make sure to leave the main drag and explore. If history is your thing, Annapolis has got you covered! The United States Naval Academy or the Maryland State House (newly renovated) are great places to visit. 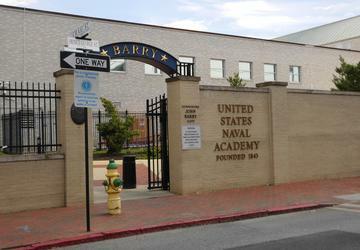 The Naval Academy offers several different tours - Public Guided Walking Tours, Public Riding Tours, the Jewish Chapel & the Levy Center Tour. Not only is the Maryland State House the oldest state capitol still in continuous legislative use and the only state house ever to have served as the nation’s capitol, it’s where George Washington resigned his commission in 1783. Annapolis makes for the perfect day trip, but there is enough to do to make a weekend out of it! Book a room at one of the adorable bed & breakfasts and have yourself a relaxing weekend! Happy traveling!